Stock your car with basic winter driving equipment: A scraper and brush, small shovel. Dominion Virginia Power's Chuck Bell tells WTOP the power company has crews ready to respond to power outages as the winter storm moves through the area. Dominion has staged resources and personnel across the region and additional assistance will be arriving from the Richmond area. If you lose power, please alert your power company as soon as possible, even if you think your neighbor already has called. FYI: Turn on your lights to increase your visibility to other motorists. 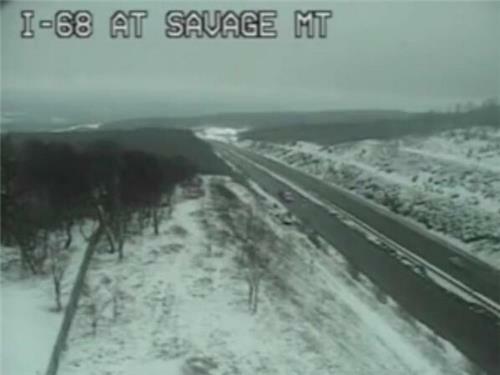 Maryland officials are urging state residents to refrain from traveling during Monday's winter storm if possible. Conditions are rapidly deteriorating on area roadways, WTOP's Finn Neilsen reports from I-66 westbound near Centreville this morning. Reagan National Airport is quiet this morning as the word "canceled" flashes across reader boards, WTOP's Nick Ianelli reports. 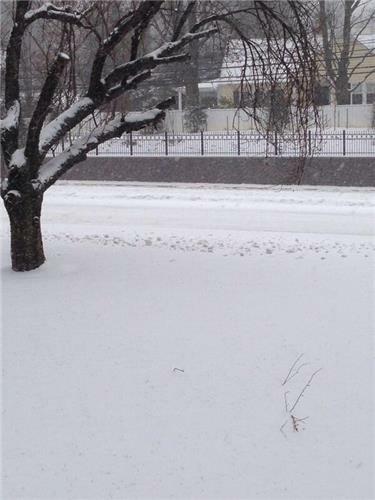 Airlines have canceled thousands of flights across the Eastern United States due to this winter storm. Check with your airline before you leave for the airport today. 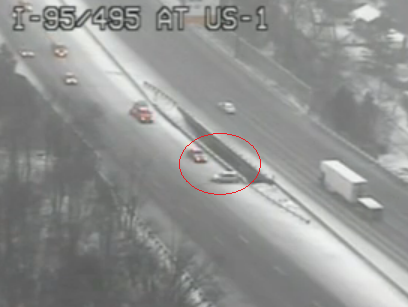 Highways are getting coated with slush and snow and lane lines are getting difficult to see, WTOP's Finn Neilsen reports from I-66 westbound inside the Beltway. MARC service is canceled for Monday. 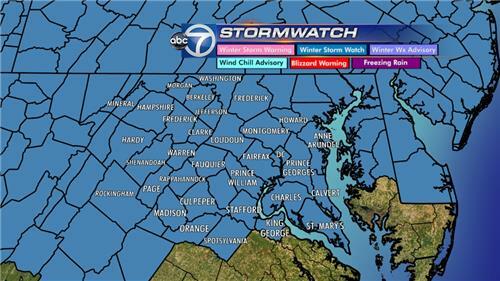 Montgomery County public schools will be closed Monday. VRE service will be cancelled Monday. The University of Maryland College Park will close at midnight and will be closed Monday, March 3. 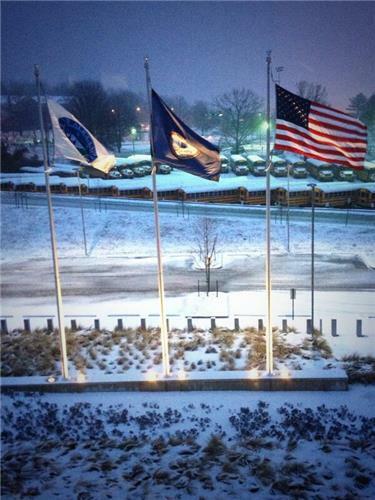 Public schools in Fairfax and Loudoun counties will be closed Monday. The City of Manassas is declaring a Snow Emergency effective 8 p.m., March 2. This means cars parked along designated snow emergency routes are subject to towing and fines. 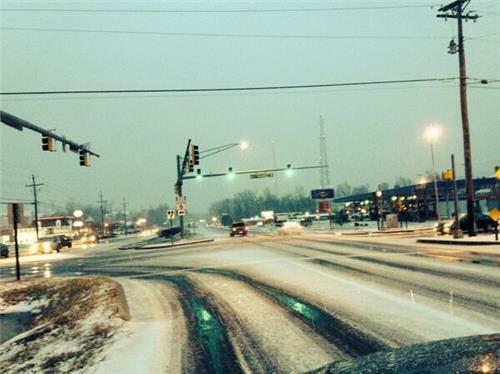 Mongtomery County has declared a Snow Emergency beginning at midnight. With freezing rain and heavy snow expected through tomorrow, County officials urge residents to stay off the roads unless absolutely necessary. A Snow Emergency Declaration means that parking is prohibited along routes signed and marked as a “Snow Emergency Route.” Vehicles parked on emergency routes will be ticketed and towed. 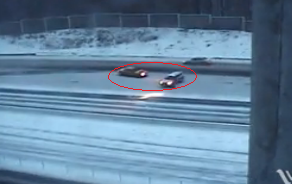 During a Snow Emergency, vehicles on the road must have all-weather or snow tires or chains. Residents are asked to move vehicles off-street if at all possible so snowplows can remove snow more efficiently. Taxicabs operating in Montgomery County during declared snow emergencies are allowed to charge $2.50 extra per trip. All County parking lots and garages will offer free parking beginning at midnight tonight through Monday. 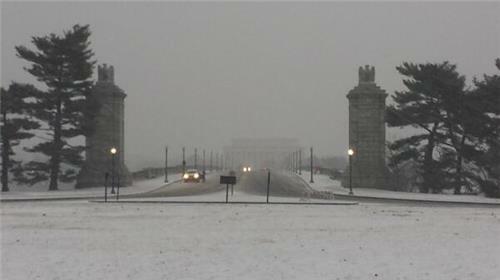 Virginia Department of Transportation is warning drivers to avoid travel Monday due to potential treacherous conditions. By midnight tonight, 4,000 trucks will be staged along interstates, major roads and neighborhood streets in Fairfax, Loudoun, Prince William and Arlington counties. Drivers are strongly advised to stay home during the storm. Crews will plow and treat interstates, major roads and neighborhoods concurrently. Fairfax, Loudoun and Prince William residents can enter their address at www.vdotplows.org to see the status of plowing in their neighborhood. the truck will push some snow back. Shovel to the right facing the road. All Metrobus service (all routes, all lines) will be suspended Monday morning due to expected hazardous weather conditions. Metro's Emergency Operations Center will monitor weather and road conditions during the day on Monday to determine when service may be restored. Bus service will only be restored when it is safe to do so. Customers are encouraged to sign up for MetroAlerts for their route to receive updates. Buses are expected to continue running until the last scheduled trips tonight. Due to the weather forecast and expected road conditions, all MetroAccess paratransit service will be suspended on Monday, March 3. Service will be restored when it is safe to do so; however a time for service restoration is not yet known. In addition, the meeting of Metro's Accessibility Advisory Committee scheduled for Monday has been cancelled and will be rescheduled. Additional service changes for Monday are possible. UPDATE: Saturday March 1, 2014 8:00 a.m.
A winter storm watch has been posted for the entire listening area from Sunday evening until Monday afternoon. 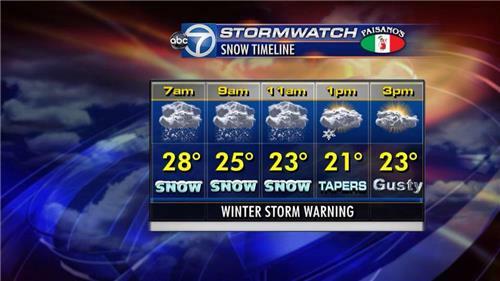 Accumulating snow and sleet are possible, says Lauryn Ricketts of the WJLA Stormwatch7 weather team.